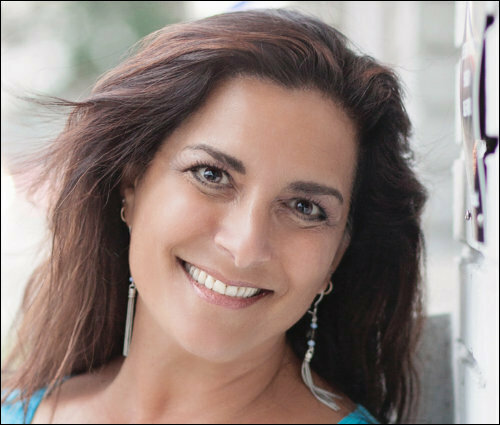 Roberta Perry, President of ScrubzBody™ Natural Skin Care that creates small batch, handcrafted products that makes your skin smile again joins eHealth Radio and the Charity & Skin Care Channel. What was your AHA moment to create your signature product, Scrubz™? Why do you call it the busy person's dream product? How can it help their skin issues? Besides money, What is your greatest business success? How did you get involved in charitable giving with your brand? After years of being totally selfless and taking care of everyone else's needs, (ok, that is my own humble opinion, but work with me here) my skin was peeling, dry, itchy and irritated. In 2005, at 43, I decided I was worth taking care of too. I discovered exfoliating products, but like the proverbial Goldilocks, none were completely satisfying my needs & wants. I decided to create my own and headed for the kitchen to play like a "mad chemist". I mixed up different combinations of botanical oils, which are great for skin, and loved my creations. It was not until I did extensive research, however, that I realized how lucky I was with the recipe I had created. I brought in my sister and we started ScrubzBody™ in 2006, in my home. We moved quickly to a renovated garage, and then opened our first manufacturing/store front, in Bethpage, NY in 2011. We have since moved to a much larger space, right in the heart of town. We love it here. All products are handcrafted in small batches. We host “Make your own Scrubz™” parties for kids of all ages. We sell retail and wholesale, with clients such as Whole Foods Markets. I have been published and quoted in blogs, beauty magazines and various articles. I have had 2 Newsday articles written about my business and have contributed to many others. I was a panelist for the Newsday Connect Small Business Seminar, I was a guest for a natural remedy segment of the Dr. Oz show which aired on 10/24/14, as well as a food related segment which aired on 2/29/16. I received the Nassau County Legislature Trailblazer award for our charity work on 3/21/16. I am a proud member of Indie Business Network, American Made Matters, Bethpage Chamber of Commerce & Bethpage Kiwanis Club. Are you enjoying the podcast? Please, leave a review. Mark Wentling, Director for Africa Relations with Breedlove Foods in Lubbock, Texas who is involved in spreading hope one meal at a time joins eHealth Radio and the Health News Channel. He has a long record of outstanding performance in the design and management of a diverse variety of complex development assistance activities in Africa. Wentling is one of the rare people on Earth who has visited or worked in all fifty-four African countries. Your company works with companies addressing these problems in the continent of Africa. What new breakthroughs do you find promising? How can Lubbock Support the “Breedlove for Africa” Fundraiser? Where Can People Go to Make a Donation? Mark Gregory Wentling was born in Wichita, Kansas and grew up in the nearby rural communities of Eldorado and Udall. He has a wealth of international development experience, working mostly in Africa for the Peace Corps and the United States Agency for International Development (USAID). He began his career as a Peace Corps Volunteer in Honduras in the 1967-69 period and, in September 1970, he continued working with the Peace Corps in Togo, where he served three years as a volunteer in village construction and agricultural education programs in the Agu District of Togo. In 1973, he served as a volunteer leader for these programs throughout Togo. In 1974, he became Associate Peace Corps Director responsible for rural development programs in Togo. In February 1975, he was assigned to Gabon as Peace Corps Director, and in 1976 he took up the same position in Niger. In 1977, Mr. Wentling accepted an appointment as a Foreign Service Officer with USAID. During the 1977-1981 period, Mr. Wentling managed one of the most complex integrated rural development projects in West Africa, the Niamey Department Project. For his work in Niger, he received a Superior Honor Award from USAID and an unprecedented commendation from the Government of Niger. Following his work in Niger, Mr. Wentling managed regional projects in the areas of agricultural research, rural credit and private sector development from USAID's headquarters in Washington. In 1983, he was assigned to Guinea and served as USAID Representative to this country until June 1987. For his work in Guinea with private investment promotion, agribusiness, local farmers and food aid, Mr. Wentling received high recognition from USAID, the Department of State and the Government of Guinea. From June 1987 to July 1991, Mr. Wentling was USAID Representative to Togo and Benin. For sustained outstanding work during this four-year period with population, child survival, export promotion and agricultural policy reform activities, he was awarded Meritorious Awards by USAID and the U.S. Ambassador. In April 1989, in recognition of performance through March 31, 1988, Mr. Wentling received the high honor of being promoted into the U.S. Senior Foreign Service . 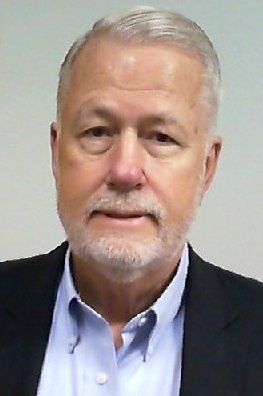 In August 1992, Mr. Wentling was named first USAID Director to Angola, but insecurity in that country prevented him from pursuing this assignment and he was assigned in November 1992 to Washington as the Director of the Southern Africa Drought Emergency and African Disaster Assistance Task force, including the Somalia working group. In March 1993, Mr. Wentling was assigned as the Director of USAID/Somalia. Mr. Wentling left this position in April 1994 to serve as Director of USAID/Tanzania until September 1996. Following his retirement as an USAID Senior Foreign Service Officer on September 30, 1996, Mr. Wentling was hired to serve as USAID’s Senior Advisor for the Great Lakes Region of Africa until to November 1997. Beginning in late 1997, Mr. Wentling worked as a specialist consultant to USAID missions in Zambia, Guinea, Senegal and Malawi. In the 1999 – 2006 period Mr. Wentling worked for CARE in Niger and Mozambique, and for World Vision in a regional position that covered all of Africa. From August 2006 to December 2010, he worked for USAID’s West Africa Mission as its Country Program Manager for Niger and Burkina Faso. He was Plan International’s Country Director in Burkina Faso from July 2011 to June 2015. He then began working as a Senior Consultant for Africa with Breedlove Foods in Lubbock, Texas. Mr. Wentling holds a Bachelor's degree from Wichita State University (WSU) and a Master’s degree in International Agricultural Development from Cornell University. WSU Alumni Association awarded him its annual achievement award for 2014. He was also honored to be among a select group of senior civilian and military officials to complete an intensive ten-month Master’s course of study on national security and international strategic issues at the prestigious National War College in June 1992. While at the War College, he received annual awards for his paper, "Redesigning U.S. Assistance to Africa in the Post-Cold War Era." Mr. Wentling's languages are: French, Portuguese, Spanish, Ewe, Hausa and Kiswahili. He is the author of numerous articles and three novels, an Africa Trilogy. He resides in Lubbock with his wife and four children. Actress Danni Tamburro joins eHealth Radio and the Charity, Children's Health and Health News Channels to discuss her charity work with “Shine on Siblings”, a unique program designed by EAMF, which shines the light on siblings of critically ill children. What inspired you to volunteer with Shine on Siblings? Can you tell us a little about the foundation? How important is it to shine the spotlight on siblings of children with life-threatening diseases? It’s the New Year and time to give back by volunteering in 2016. How do people find out more about volunteering with Shine on Siblings? You’ve been in film, TV and theatre from a very young age. What’s next for you in 2016? How was it working alongside Tom Arnold? And who would you like to work with next? What advice do you give to other child actors? 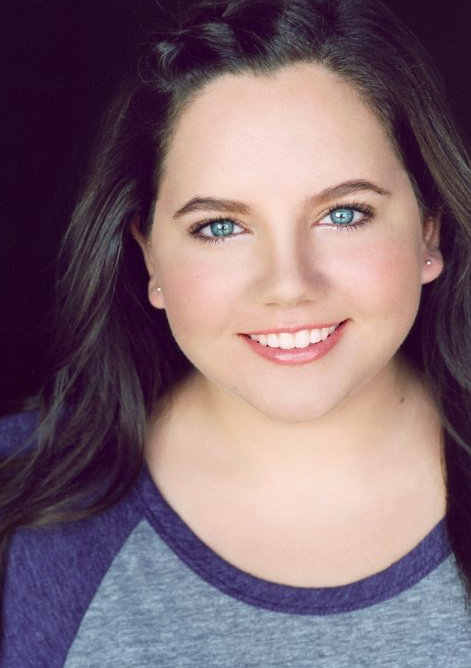 Danni Tamburro is a lively young actress who has just completed her first movie, playing the daughter of an abusive Tom Arnold in the independent film, “1 Interrogation”, for release in 2016. Danni is no newcomer to show business as she has been appearing in TV commercials since she was a year old! With several small parts in TV and some theatre under her belt, 19 year old Danni is ready to make a name for herself in TV and film. In her spare time Danni volunteers at Children’s Hospital working with the siblings of terminally ill children in a program called “Shine on Siblings”. Danni is also a first class equestrian and is devoted to her puppy!